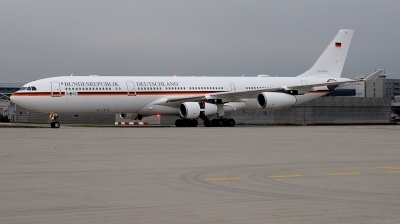 A rare sight in southern Germany. 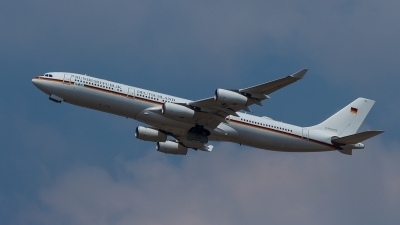 Always impressive, short final Runway 14L. 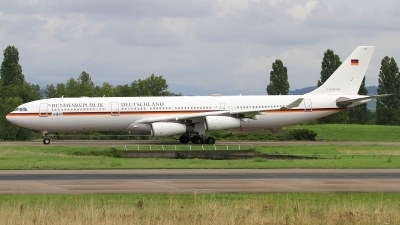 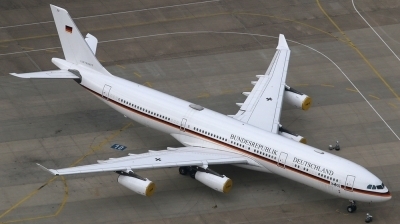 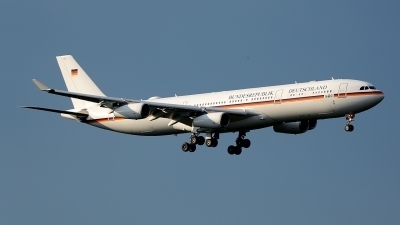 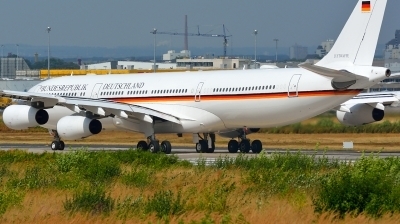 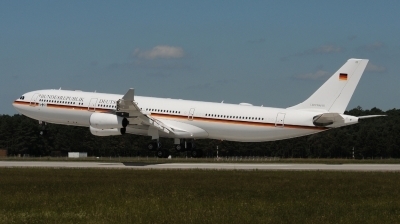 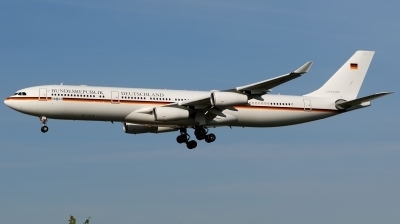 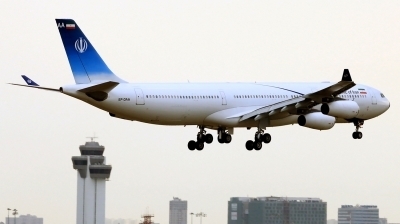 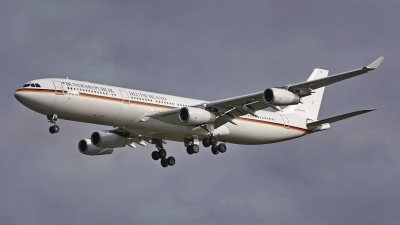 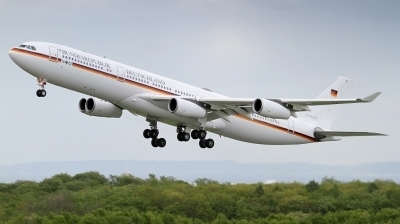 a splendid looking Luftwaffe A340 doing its patterns during a landing training at Manching. 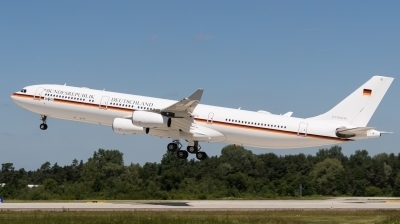 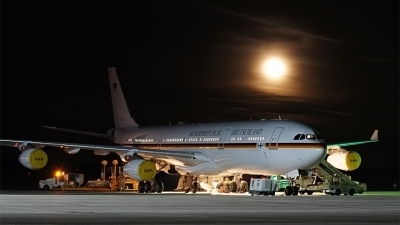 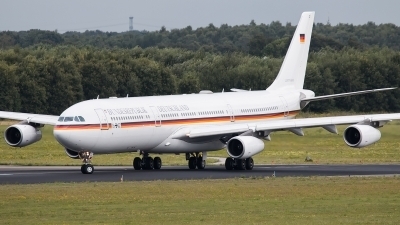 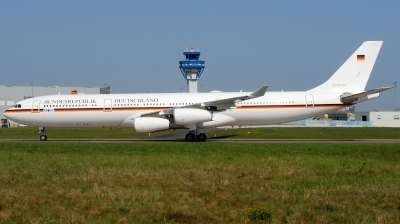 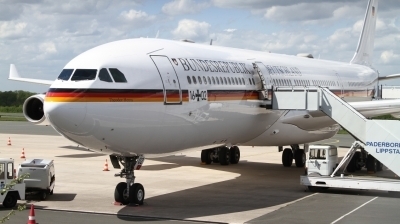 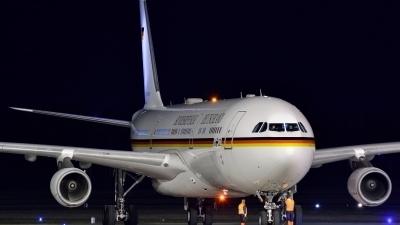 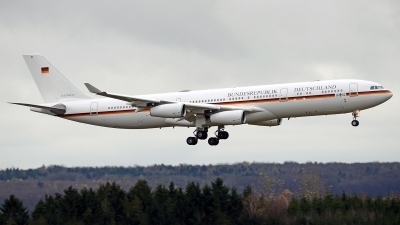 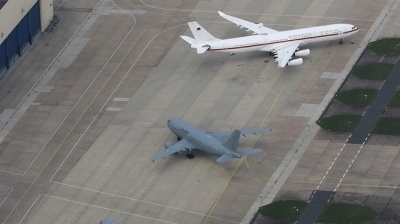 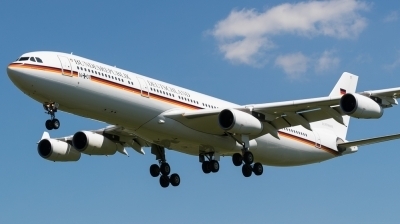 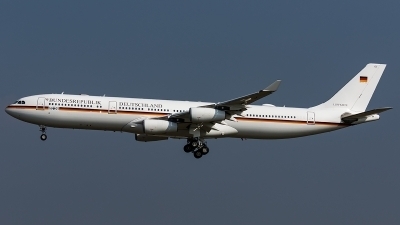 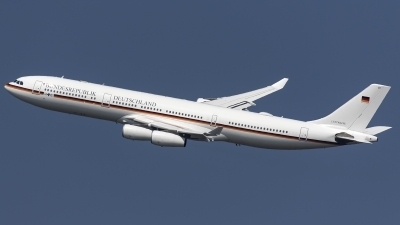 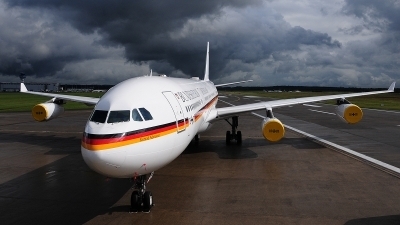 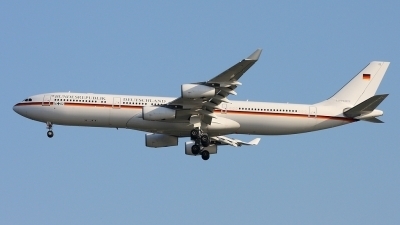 Baptized "Konrad Adenauer" after West Germany's first post-war Chancellor - also sometimes refered to as "Angie One", thus Angela Merkel's Air Force One.